Words can’t tell how much I admire Dan Barber even from only a fragment of what he’s telling us about food. As an advocate of farm-to-table and sustainable farming, the second episode of Chef’s Table with him explains so much about his vision to provide not just good food but to feed the world as well. 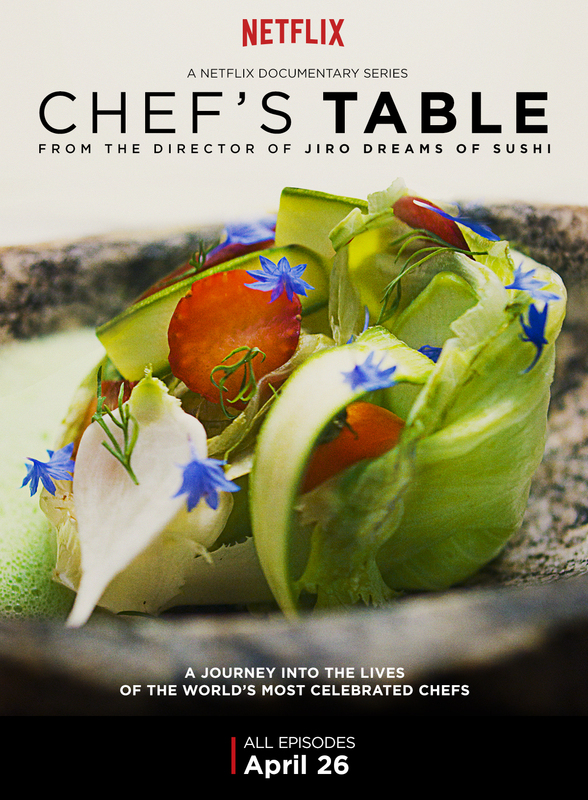 One episode about him explaining how he fell in love with the fish, the enlightening yet hilarious speech he had with TED in 2010, and now with Chef’s Table should be more than enough to understand that Dan Barber’s vision is really in line with our well-being for the future. There are movements of locavore or farm-to-table concept restaurants found in many places around the globe now including Bali and some of classy establishments in Jakarta. However, aside from utilizing the local produce to help sustain the farmer’s welfare, how would we know about the rest of this mechanism? Not only that Dan Barber is an accomplished chef and restaurateur with his Blue Hill restaurants, he is also mentioned as an “investigative journalist” said one of his partners. He traced back thoroughly and asking everything about how good food should came from and that ultimately, the answer lies in his late grandmother’s dream to sustain their family farm in Massachusetts. With a clear and colorful explanation that good food should came from good resource, Dan Barber departs on a venture to maximize the quality of the source, which can only be accomplished through completing the cycle of sustainability farming. For example, he eloquently told us on how to produce good milk and that should came from good pasture. Quality grass and hay can be achieved with good manure coming from the kitchen. With the forest starting to encroach the farm, he also needs goat to sweep away the “threat”. Only by then, the result of good pasture can be seen and consumed by the cows. Thus, they will produce good milk. With his Stone Barns Center for Food & Agriculture, he and his team develops the best way for farming while also cooperating with other local farms around them. The goal is to introduce people again with the food, the quality, and the farmers; while also appreciating the hardships to grow these fine ingredients. The rest is history. His devotion in the kitchen, his family life, his teamwork, his creativity, and everything altogether evolve into something that most of us never seen before, something that perhaps each and every one of us should be aspired of. I am sincerely hoping to grab the knowledge from this chef and to share it with the whole world about the importance on sustaining the nature. That one lecture at TED was the gateway for seeing the reality and also to idealize ourselves to achieve the grandeur. With people like Dan Barber and other brilliant people from different industries, we may well be ready to see that future not long from now.